Indian Maritime University Common Entrance Test (IMU-CET) is an entrance test, which is compulsory to pass, if you want to become Officer in Merchant Navy. It is conducted twice in an year, in the month of December and in the month of June. 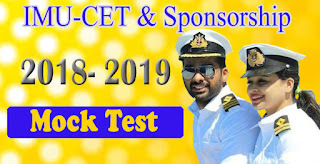 December month IMU CET is only to become Navigating Officer by doing Diploma in nautical Science, where as June month IMU CET is to become Navigating Officer as well as Engineer Officer. All the topics of class 11th and class 12th are covered in the syllabus. Thousands of candidates appear every year for this exam to get a prestigious job in Merchant Navy. Therefore competition has become increasingly tough. You can give our mock test below to get an idea about the level of questions. If you want to become a Merchant Navy Officer good preparation is the only way to get into it. So take the test, check your marks which will tell you about your preparation. 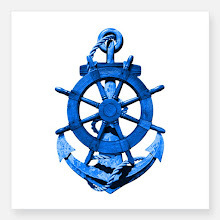 if you are interested in Merchant Navy, start preparing NOW so that you can get good Institute and a good company. GME Exam Sample Questions, Books, Mock Test & Study Material for Anglo Eastern, Great Eastern, Samundra, IMS Goa etc. IMU - CET Study Material for 100% success. Best Institutes for GME course to join Merchant Navy after Mechanical Engineering.